A collection that reflects on the monsters that ordinarily exist within us – the fears, craziness, imperfections and failures we all have – and celebrates them. By taking inspiration from everyday ordinary items of clothing then adapting them into extraordinary monstrous versions of themselves, the collection is an experimental approach to design. 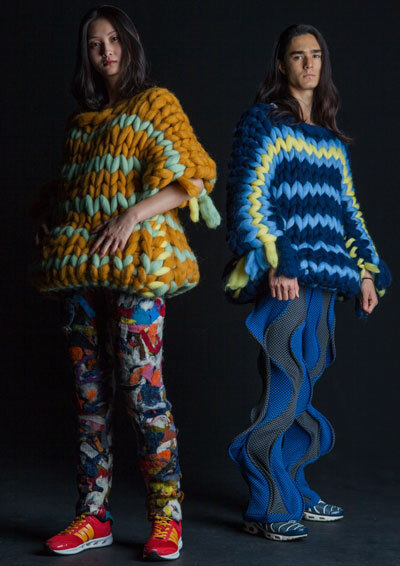 The experimental and wearable co-exist with processes such as fabric collaging, felting and giant hand-knitting to create monstrous shapes and silhouettes. These are the monsters of fashion- clothing that reflects us and our experiences.